Played for the 2004-05 season by CSK VVS Samara, playing with the main and the 2nd team. Signed for the 2006-07 season by Spartak Primorje Vladivostok. 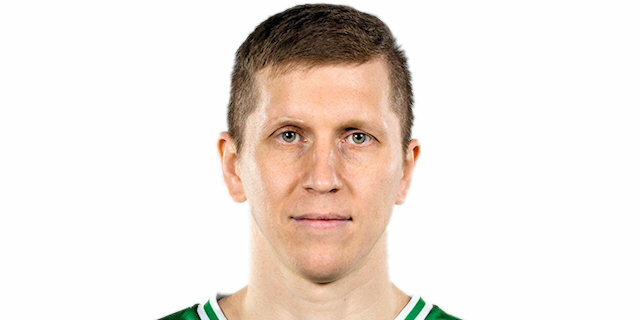 Moved to Latvia on January'08, signed by VEF Riga. Back to Russia for the 2009-10 season, signed by Spartak St. Petersburg. Signed for the 2011-12 season by Krasnie Krylia Samara. Signed for the 2014-15 season by Enisy Krasnoyarsk. In April'16 moved to Spain, signed by Obradoiro CAB. Back to Russia for the 2016-17 season, signed by Avtodor Saratov. Named the 2009 Baltic League Challenge Cup MVP. Played the 2009 Latvian All Star Game. Has been member of the Russian University Games.